New York Gov. 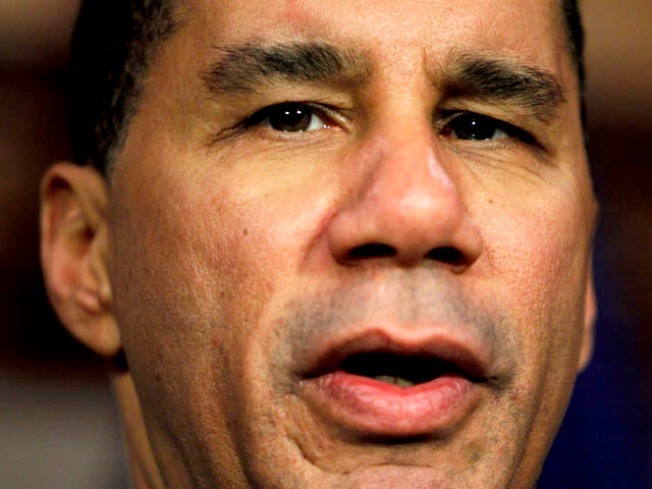 David Paterson has another scandal on his hands. Gov. David Paterson has suspended his top aide without pay and asked his chief political foe, Attorney General Andrew Cuomo, to investigate whether state police pressured the aide’s former girlfriend to drop her domestic violence claim. Paterson moved fast to distance himself from David Johnson, who rose from volunteer to driver to confidant in more than a decade of working for the Democrat, following a bombshell report on The New York Times' website late Wednesday. In the wake of the report, the governor's criminal justice head, Deputy Secretary for Public Safety Denise O'Donnell quit, apparently in disgust. "It is particularly distressing that this could happen in an Administration that prides itself on its record of combating domestic violence," said O'Donnell in a statement. "The behavior alleged here is the antithesis of what many of us have spent our entire careers working to build – a legal system that protects victims of domestic violence and brings offenders to justice." The Times cited court records and the alleged victim's lawyer in describing a case of domestic violence and a possible effort by state officials to avoid a potential political embarrassment for the governor's office. The paper also claimed a member of the governor's personal security detail visited the woman and Paterson himself called her on the phone as she was set to go to court for a protective order against Johnson, 37. The governor's office told The Associated Press the woman, not the governor, made the call. Either way, after arguing for months that Johnson had attacked her, the woman missed her Feb. 8 court date and her case was dismissed, according to the Times. Paterson said the report raises serious questions that must be thoroughly investigated by Cuomo, who is widely believed to be considering a bid for the governor's office in November. "Serious questions have been raised about contact the state police may have had with a private citizen who filed a complaint against a member of my staff," Paterson said in a statement released to the AP on Wednesday night. "Any allegation of improper influence must be investigated thoroughly and completely." Just last week, the governor defended Johnson from an earlier Times report that revealed his aide had pleaded guilty as a teenager to drug dealing and had been accused of domestic violence in recent years. Paterson said Johnson deserved a second chance for "mistakes committed during one's youth" and also dismissed the paper's domestic violence allegations. On Wednesday, Paterson said he directed state police Superintendent Harry Corbitt, his appointee, to conduct a thorough internal investigation. "Because of the seriousness of these allegations and the sensitive role of this staff member in my administration, I am asking the attorney general to investigate the matter to ensure in the public's mind that a comprehensive and independent inquiry has been conducted," Paterson stated. "Pending the outcome of the investigation, I am suspending David Johnson without pay." The governor's office would not make Johnson available for comment Wednesday. The Times reported that the woman had been contacted by a member of the governor's state police security detail even though she claimed the Halloween incident happened in the Bronx and state police had no jurisdiction there. But the newspaper stated details of the governor's involvement are unclear. "We never pressured her, at least what I was advised; we never pressured her not to press charges," state police Superintendent Corbitt was quoted by the newspaper. "We just gave her options." Corbitt was asked by the Times if there were other visits by state police. He said, "I can't address any unofficial conversations because I have no way to." Later, a Paterson administration source confirmed to the New York Daily News that state police overstepped their boundary by contacting the woman when the NYPD had jurisdiction over her case. The woman's lawyer, Lawrence B. Saftler, said Paterson called the woman in February and asked if he could help her, but the lawyer wouldn't say if the call prompted her to drop the case. "The only time David Paterson spoke to this woman between Oct. 31 [when the incident is said to have taken place] and Feb. 8 is when she called him on Feb. 7," a Paterson aide told the News in a response.